Think about the times when you’ve been turned off by an in-store shopping experience. Has a disorganized sales floor or a rude associate ever dampened your day? Now, think about the times you’ve been impressed by an in-store shopping experience, like an unforgettable display or an associate who had all the time in the world to assist you. Did you feel much more loyal to the store afterward? As a retail employee, you have the chance to directly influence customers’ experiences on a daily basis. Retail doesn’t always get the best rep in the media, but one need only look at today’s booming industries to see where the field’s potential lies. Americans are spending more on experience-driven industries, with travel, recreation, and restaurants now accounting for more than 20 percent of consumer spending. If retail can learn from these industries and apply the lessons to itself, there will be an opportunity to bring people back to brick and mortar stores. To compete with the convenience of online shopping, the new goal for physical retail locations is to become destinations that offer experiences shoppers just can’t find on the internet. Consequently, the key to future success in a retail career is to find the roles where you can create such experiences. What physical stores have over eCommerce outfits is the element of humanity. All of the chat assistants in the world can’t replace the interpersonal relationships between customers and in-store associates. While every online shopping experience generally follows the same, generic model of search, add to cart, and check out, each in-store experience has the opportunity to be different. 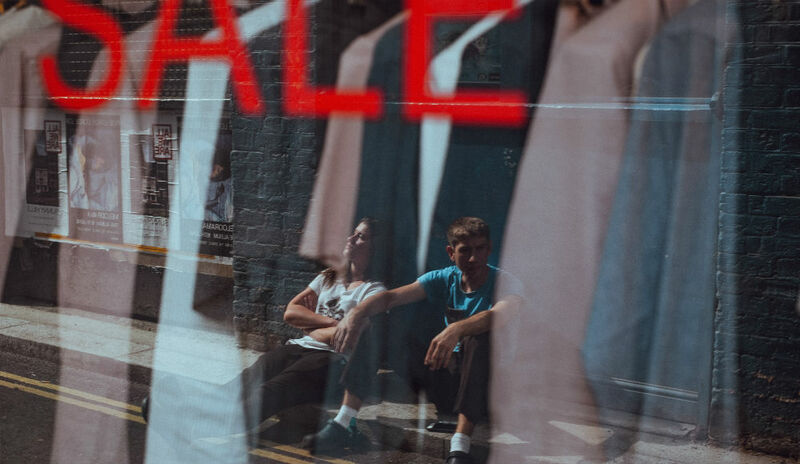 For many shoppers, it is the relationships they develop with sales associates and the special treatment they feel they receive that establish brand loyalty. Associates can add value to each step of the shopping experience, whether by aiding customers in making decisions, offering styling advice in the dressing room, or wrapping impeccable holiday gift boxes at checkout. It’s crucial to provide an experience customers will remember because that is what will bring them back. To have the greatest impact in retail, look for the roles that are the most customer-facing. If you’re just starting out, try a role as a cashier or sales associate. As you gain more experience, you can move into roles like floor leader and customer service representative on your way up to sales management. Stores won’t become ever completely obsolete because humans are sensory beings. We like feeling the different fabrics at H&M, comparing the array of fragrances at the Macy’s counter, and observing the newest window displays at Anthropologie. However, the way we shop has changed, and retail employees must adapt to meet new expectations. The shift to experience-based spending among American consumers is largely due to social media. People — teenagers and young adults especially — choose their experiences based on what makes for the best Instagram posts or the most interesting Snapchat stories. Retail outlets must keep in mind that visual appeal will be key in getting customers to come. Lighting, color, and unique design details are chief components of the visual story. Once customers have been enticed in by visual appeal, stores must take their experiences to a new level through things like memorable scents (think: Abercrombie) or in-store coffee bars (think: Barnes & Noble). If you’re more interested in the sensory experience than in customer interaction, look for roles in visual merchandising, retail design, or boutiques. These careers require more creative and analytical thinking. Professionals in these roles must find ways to appeal to the senses and speak to the specific experience the brand wants associated with its merchandise. It is someone’s job to design store layouts, window displays, and mood lighting — and that someone could be you! Glenn Laumeister is the CEO of AllWork, a talent-matching platform for brands and retailers.